Would look great in yellow! Monacco where the poor people drive Bentleys! this car is amazingly fast and great looking!!!! I actually have cars on both sides of the ocean. I got a Granturismo S in 2008 to drive the Stelvio pass, I loved it and I kept it as a summer car... This year it will be replaced by the MC. But since they are also road cars, I've used them on long trips out west, these supercars today are so reliable and comfortable that you can really do thousands of miles far out in the wild, no probs. About Alfa: in the US the 8C sold out in a week, a friend of mine in Hollywood struggled to find one even if he's a famous collector... The Alfa brand is still cherished by enthusiasts (Alfa club events have huge turnouts!) but nobody would buy the current little fwd Fiat clones. Alfa must be a BMW competitor to justify its very existence as a viable business model. It is pointless to sell Nissan and Toyota competitors with an Alfa badge, customers in these segments dont care about alfa's brand values and the economies of scale of the mass manufacturers will kill it on the market. The 4c is a clever idea but we really need a fresh RWD 4-seater coupe and a RWD sports sedan with Alfa-built 6 cylinder engines, a convertible and a bmw 5-series competitor large sports sedan... But I'm dreaming. Marchionne is killing the brand by starvation. Very sad. i remember how big of a relief was reading about that news. for years, in any car forum you could hear alfa fans calling for a car like that to bear the alfa logo. sometimes one tends to think that even a chimp would be able to plan the future of the alfa brand better... as long as it is able to read car forums. do you work for Fiat Group? @ala71: interesting. 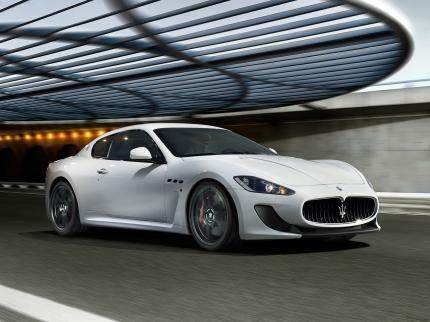 did you ship the granturismo to US for your trip? or maybe you bought it there and then shipped it to italy. Auburn Hills... Chrysler... You're Italian... hmmmm... do you work for Fiat Group? If you do, please tell your bosses to get their head out of the sand and do something to save Alfa Romeo... it's as good as dead, it's not a brand meant to fight against Toyota and Peugeot, it should have top-notch RWD cars to compete against BMW. Do something! Sorry, my previous post was for Luque as well as for man1. Great to talk to all of you guys. Sorry, my previous post was for Luque as well as for man1. Great to talk to all of you guys. I am Italian-American and I love my family's old country. 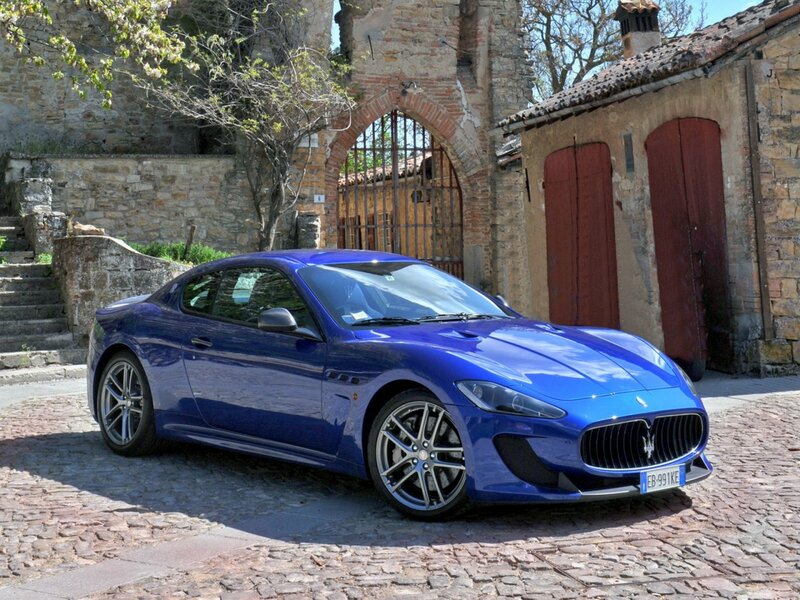 I love going on vacation to Italy and that's where we keep the Granturismo S. I love Italian cars and I have been enjoying Maseratis and Ferraris on both sides of the ocean for a few years now. With my modified Gransport (470 HP with free flow exhaust, engine tuning and modified gearbox sw) I have been enjoying track days as well as long road trips from Chicago to California. Last year we drove 3500 miles in one month going through all the great national parks (Arches, Canyonlands, Capitol Reef, Grand Canyon, Yosemite, Zion, Death valley...), a huge, amazing trip with the Maserati a faithful companion across deserts and high mountains. The car performed beautifully. We carried all our hiking gear and tons of stuff for a month's vacation. And we had our small child in the back seat. This trip was just as amazing as any trip to Tuscany. Only the food and wine were better in Tuscany! All the people who speak rubbish of Italian cars really do not have a clue. I have put many, many miles on Ferraris and Maseratis and enjoyed every one of them. Only my old F355 gave me some serious technical problems. All the others (Ghibli, Gransport, Granturismo S, F430, F550) have been absolutely perfect and a joy to own and drive. I love Italy and Italian cars. Keep up the great work! I had one of the best week-end of my life three weeks ago in Tuscany near Mugello. Wonderful ‘Fiorentina’ steaks, Ravioli di scamorza con scaglie di tartufo and …. Drive, drive and drive ….. all old Mugello stradale circuit (Passo della futa, Passo della Raticosa) changing cars live EVO testers do. My country has a lot of contradictions but, sometimes, I thanks God to live in Italy. 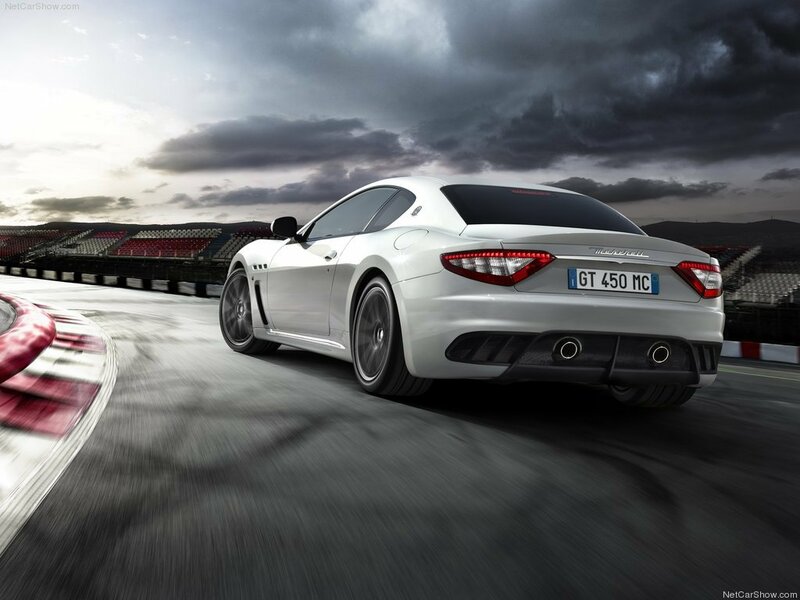 @ala71: as far as i understand, you already had the experience of owning a maserati granturismo, thus you know what expect from the mc stradale. if you ordered it i assume that you like its interior layout compared to the competitors. italian high end brands tend to preserve that typical artigianal flavour often found in fashion manufacturing for which that country is worldwide famous. it is a matter of taste and we are sharing the same one; it is hopeless to explain that to those poor italians who prefer german plastic over italian finely stitched leather, just because it is italian. @mike b: i totally agree with your scud's figures. i had predicted (as much as of a speculation it might be of course) a 3.44-3.45 in that heat and a below 3.43 figure in porsche-like weather conditions. not much really, but if you add up the couple of seconds moccia lost on the track and the weather conditions, you end up with about 4 secs of penalization, which an italian magazine must not allow to an italian car. but rs5's one is simply unbeliavable. i am getting more and more convinced that vairano has become an obsolete track favouring all wheel drive cars. in italy there are plenty of exceptionally complete tracks such as the recent 6kms nardo handling circuit, monza, balocco itself. i wonder why they keep insisting using that instead. I've made and average excluding the Balocco and autocar times (because in there the LP560-4 was on PZero Rosso) and effectivly the Scuderia is around 1.1% faster on track, while in the Balocco time the difference is only 0.4%. A more reallistic time would be 2:45.2 and both would drop if Auto had tested them in better conditions, I'm with you on that, I only said that the LP560-4 was faster on a straight line. I have read Auto's test of the MC Stradale and I am appalled that they dismissed its acceleration as "average". They forgot to mention that the Maserati does not have a launch control system, which is the ONLY thing that enables the latest spree of sub-4 second 0-100 Km/h times that we've seen everywhere. Considering how the launch control completely wrecks a transmission, I consider it just a gimmick for journalists. I would never use it on my own car! Looking at the acceleration of the MC Stradale, I see that its 100-160 Km/h time is only 7.9s, which is just as fast as the Lambo Gallardo tested by Auto in January 2004... and the 1/4 mile and Km times are identical... so, to say that the Maserati has "mediocre" acceleration is extremely biased. Also, I notice the continuous obsession with Porsche and Audi of Italian magazines. Has anyone really ever been inside a Porsche 911? The amount of cheap plastic is appalling! (ok, the 997 is a bit better, but the 996 was disgraceful). And Audi is no better - after touching all the cheap hard plastics in an R8 I walked away and ordered the MC Stradale the next day. Yet all I read are gushing reviews about "Porsche and Audi build quality". Bulls@t.
@mafalda: i quote everything and don't need to add a single word, except that few years back they reported the whole comparison of d-range cars (alfaromeo 159, bmw 3series..) of 10 different makers made by auto motor und sport. 4 of them were germans and guess who took the first 4 places of the final ranking? quattroruote obviously deemed that garbage to be worth of publication. ..."4. about the supertest 2006, 4R wrote on the forum the list of all six tires on the supercar. 997TT was the official Porsche Italy, with the plate "Padova", was their choice to use the "Sport Pilot" and the "Sport Cup". " and NOT the "sport Cup"
1. Porsche was the king of Vairano from 2000 to 2006! 996 turbo, 996 Gt2 and CGT! 3. I don't rember excatctly when, maybe during the test of TT MKII, but QR suerly explained the minor changes of the track. 4. about the supertest 2006, 4R wrote on the forum the list of all six tires on the supercar. 997TT was the official Porsche Italy, with the plate "Padova", was their choice to use the "Sport Pilot" and the "Sport Cup". "You only have to ask for many other numbers, not personal opinions." When Quattroruote tested Porsche 997 turbo, Ferrari 430 and Lamborghini Gallardo in the second edition of the 4" Club, Ferrari was equipped with semi-slick tyres, at the same way of the Lambo, while Porsche was equipped with standard tyres. In the last years Porsches have been ridiculously slower than rivals in Quattroruote's tests... It's strange, I guess, expecially when in all other comparison things are slightly different. man1, the LP560-4 is sightly faster on straight line than the 430 Scuderia, look at the tests, the Scuderia launches harder but the 100-200 times tell a different story. And that's coming from the tests of 4R and Auto. Possibly "old hands" like Moccia and Von Saurma have "fossilized" themselves for so long on Porsches (accumulating hundreds of thousands of Kms on the 911) that today they find difficulties adapting to mid-engined (or front-engined) cars, and in a few hot laps they do not have time to get the best out of a Ferrari or Maserati. if that were indeed the case, then the burden is on the magazine to ensure that all the tested cars get the same treatment and hire a proper pilot. failing to do so is the result of standard nationalistic policy of german auto magazines and usual italian xenophilia. mafalda: auto tested gallardo 560 in similar (very hot) conditions as scud's and the lap time of the two cars was nearly the same in spite of scud's linear accelerations tests being notably superior. this suggests a moccia's wrong doing in driving the scud. in any case, if you know you are putting a home brand car at competitive disadvantage you have several options for not doing so among which waiting few more days the weather to cool down a bit or going as far as rescheduling with the manufacturer a new test. foreign magazines normally play much dirtier than this. no high end porsche has been tested in such harsh conditions by auto. @ala71: all these fractions of a second discussions are merely academical and what everything will eventually boil down to is that you will have loads of fun driving your mc stradale in any way you feel like driving it. in another post i just mentioned about some italians stopping by every now and then, thrashing ferrari and italian car makers with few unsubstantiated opinions and leave. here we have a prototype of what i had in mind. what was moccia driving when auto started to use him to lap-timing cars? what was moccia driving as of the last month? if quattroruote were "a fiat magazine" whatever that means, why according to them m3csl was faster than ferrari 360cs? why a carrera gt was 0.1secs faster than a ferrari enzo, when we all know how faster enzo is from basseng's nurburgring shootout? @man1: please, don't forget Moccia has raced several years in Ferrari Challenge, winning the international title some years ago. Auto is the same of Autosprint, and Autosprint is such an advertising brochure for Fiat brands. So, don't waste any other things trying to explain Auto negative position about italian cars: you're incorrect. Quattroruote is another official Fiat magazine, IMHO.